Admission of entries for the First International Festival of Educational Animation is over. Our multinational animation team also presented their work for the competition! Before April 30 a professional jury got to select the best works that will be shown on the festival day on May 15 at MAXXI - the National Museum of 21st Century Arts in Rome. And then we will find out who became the winners! Perhaps this year you did not have time to prepare your work for the festival, but there will be another year, and there will be many more interesting competitions! We will be glad to see you at the festival! Watch our video tutorials, learn the animation with us, and we will win prizes together! This information is intended primarily for those who visit our site for the first time. Our regular visitors can immediately go to the section "Blog" and "Our projects" in the main menu of the site. We are glad to welcome you on the portal of our studio General-Animation, where together with our partners from many countries of the world we create cartoons dedicated to solving the most painful problems of our time. You can ask: how children's cartoons can help solve the problems of humanity? It seems to us that the main barrier to the development of human civilization is an extreme imbalance in the level of development of the most advanced countries and the rest of the world. The development gap generates many conflicts, the solution of which absorbs huge resources, and hinders the accelerated movement of humanity along the path of progress. Our efforts are aimed at eliminating this imbalance as soon as possible. And we have instruments, which allow even the inhabitants of the poorest countries right now to join the achievements of modern computer technologies, to participate in the process of human development and at the same time to improve their personal well-being and the general welfare of the countries in which they live. To achieve this goal, we have created a series of animated video lessons, in which funny cartoon characters in an easy and accessible form tell about how to make cartoons. 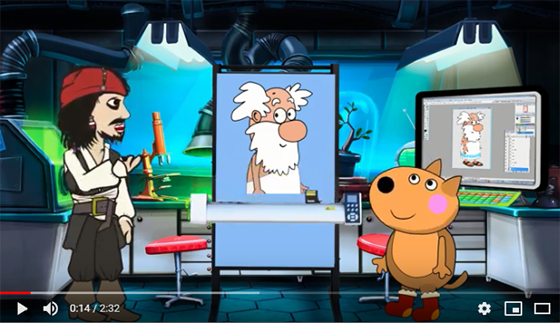 Our video lessons and our cartoons have gained quite a lot of popularity, and now we use them for training our students, who later become our animators and make cartoons with us. So welcome to our global animation network. 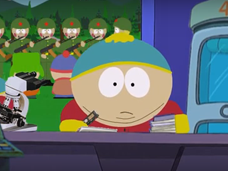 You can write scripts for cartoons, create characters and voice them, draw backgrounds, and of course make animation. How to do this is told in our wonderful video lessons link to which you will find in the main menu. Read the news of the site and our projects in the sections "Blog" and "Our projects" of the main menu, learn the animation with us, and we will make cartoons together! The most active and creative students in the learning process we pay incentive scholarships. 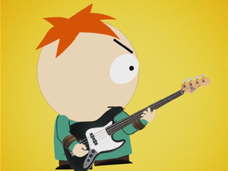 And so - you decided to make animation. 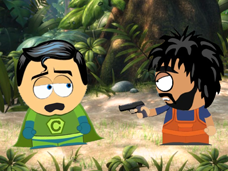 Now I will show you how you can easily create your own cartoons or participate in creating animations with us. As an example, I will use our charming symbol of 2018 - the Yellow Dog. 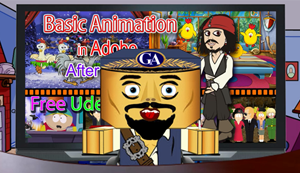 Visit our website general-animation.com Go to the “Downloads” section of the main menu of the site. Find there the article "Models for Animation 2018", click on the picture with the Christmas tree and the Dog and download the archive "Danny Dog 2018.rar" Unpack this archive using Winrar, and you’ll get the folder "Danny Dog". In this folder you will find another folder "Christmas tree" with Christmas trees, photoshop files "Christmas background.psd" with a New Year background that you can use in your cartoon and the file "Danny Dog Rastr.psd" with a rasterized model of our Yellow Dog. But the most interesting are the first three files, the names of which begin with 01, 02 and 03. These are ready-made projects for the Adobe After Effects program, in which we assembled the model of our Yellow Dog, and now we will tell you how to work with these models. 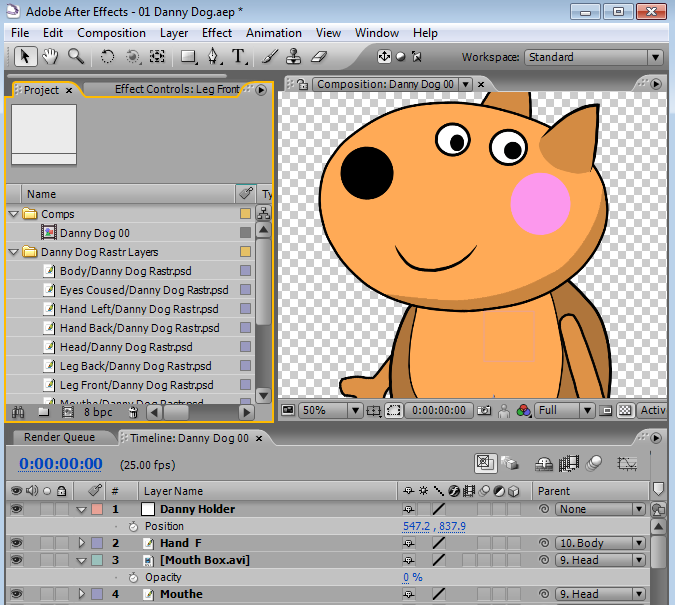 Let's start with the project "01 Danny Dog.aep" In this After Effects project the simplest model of the Yellow Dog is assembled. That is, we just imported a file with parts of the dog "Danny Dog Rastr.psd" in Adobe After Effects, tied the eyes and mouth to the head, the head to the body, hands to the body, and so on. And got the simplest model of a dog that will perfectly suit your first experiments on animation. Open this project with Adobe After Effects, move hands and feet with the “Rotation” parameter, and make your cartoons about the adventures of the Yellow Dog. Do not forget also about our free course on the Udemy website, where you will find even more interesting materials. We continue our acquaintance with the contents of the archive "Danny Dog 2018.rar". I think the greatest value for true connoisseurs of animation is the file "02 Danny Animette.aep" This is the same model as in the project "01 Danny Dog.aep", but in it added animation of walk and speech cycles. That is, you do not have animate each time the movement of hands and feet when walking. It is enough to set the parameter "Go" to 1, and the dog will start waving his arms and legs, representing walking, and you will only have to move the model over the composition. It's also easy to do speech animation: use Keyframe Assistant to convert Audio to Audioamplitud for an audio file, insert the resulting keyframes into layer 6 “Danny Audio Amplitude”, and the dog will start opening her mouth and waving her hands to represent the speech. What is Animettes and how to use them I described in detail in one of our lessons. And finally, the exemplary project "03 Animation Sample.aep" in which our dog runs around the Christmas tree. 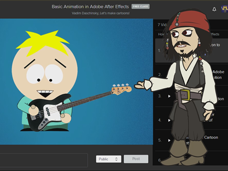 You can learn how the animation is done in this project, how to modify it and use it in your cartoons. We continue to make our cartoon. In this scene I used our footage for year 2017 the symbol of which was a rooster. In our video lessons we use animal models for each year. In such way in this scene met the symbols of two years at once - 2017 the year of the rooster, and 2018 - the Year of the Yellow Dog. It turned out very joyful and cheerful meeting. And so: Yellow Dog walked along the cartoon forest and came across the house of a merry chicken family. 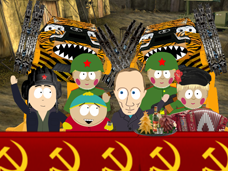 View the full version of the cartoon and take part in its creation you can in "Our Projects" sectition of our website.